According to the EGF rating scheme, a shodan professional (1p) has a rating of 2700, going up 30 points per professional rank, such that a 9p player would have a rating of 2940. Now, Hideo Otake has said that he might have a good chance against God (who always makes the perfect move) with a handicap of three stones. This would make God a 12p with a rating of 3030. This might indicate that an EGF rating of 3000 is beyond mortals. Bill: 9-dans are hardly new. What is new is having a lot of them. My guess is that the average 9-dan of today is about as strong as the average 7-dan of the 19th century. Most of the meijin of the past would rate 3000 or more on this scale today. Anonymous: Unfortunately due to Deepmind's recent efforts with AlphaGoZero? and AlphaZero? 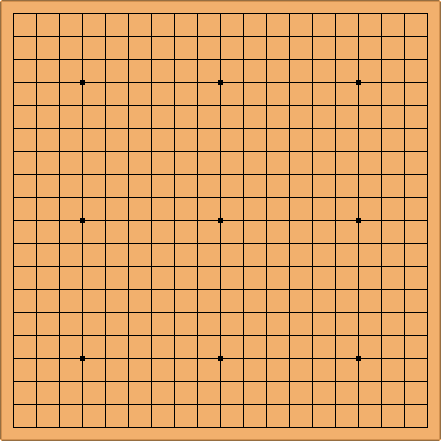 it is quite easy for computer go engines and bots to surpass a rating 3000 or 3500, yet they are nowhere near being God or solving go, so this joke falls flat. Black to move and win the game. If Shusaku was still around, he'd yawn and ask: "What's this procedure called again, you invented recently?" Mef: I'm sure god would have a sense of humor and pass, then challenge you to find the line that refutes his solution. nachtrabe To pass again, then I've gotten a jigo against G-d! Bill: No, komi is older than that. It's standard use in even games goes back around 60 years, though.